The British Virgin Islands has established a local committee for the Memory of the World programme, an international initiative launched to preserve the documentary heritage of the world and to improve access to it. The Memory of the World (MoW) programme was established by the United Nations Education, Scientific and Cultural Organisation (UNESCO). The BVI committee comprises 10 members and its formulation follows a consultancy by UNESCO Library Consultant/Researcher, Ms. Elizabeth F. Watson earlier this year. The committee comprises Secretary General of the BVI National Commission for UNESCO, Dr. Allison Flax-Archer; Director of Culture, Mrs. Luce Hodge-Smith; Chief Librarian, Mrs. Suzanne Greenaway; Chief Records Management Officer and Representative on the Regional Memory of the World Committee, Mr. Christopher Varlack; Author, Educator and Representative of the Association for the Preservation of Virgin Islands Heritage, Dr. Patricia Turnbull; Senior Lecturer at the H. Lavity Stoutt Community College (HLSCC) representing the Virgin Islands Studies Institute, Dr. Katherine Smith; Representative of the Friends of the National Archives of the Virgin Islands, Mr. Peter Moll; Representative for the BVI Tourist Board responsible for Virgin Islands History and Geography, Ms. Ermin Penn and Former Chief Librarian/Learning Resource Centre, Dean of Workforce Training at HLSCC, Mrs. Bernadine Louis. Permanent Secretary Dr. Marcia Potter serves as an ex-officio member. The committee has recently identified the St. Phillip’s Anglican Church as the first suitable nomination for the BVI register and will submit the application to the MoW international register early next year. 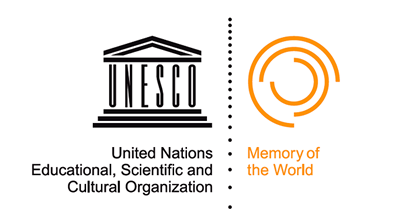 So far, more than 57 countries have entries of over 120 collections on the Memory of the World Register. The Ministry of Education and Culture is committed to creating a “Culture of Excellence”.